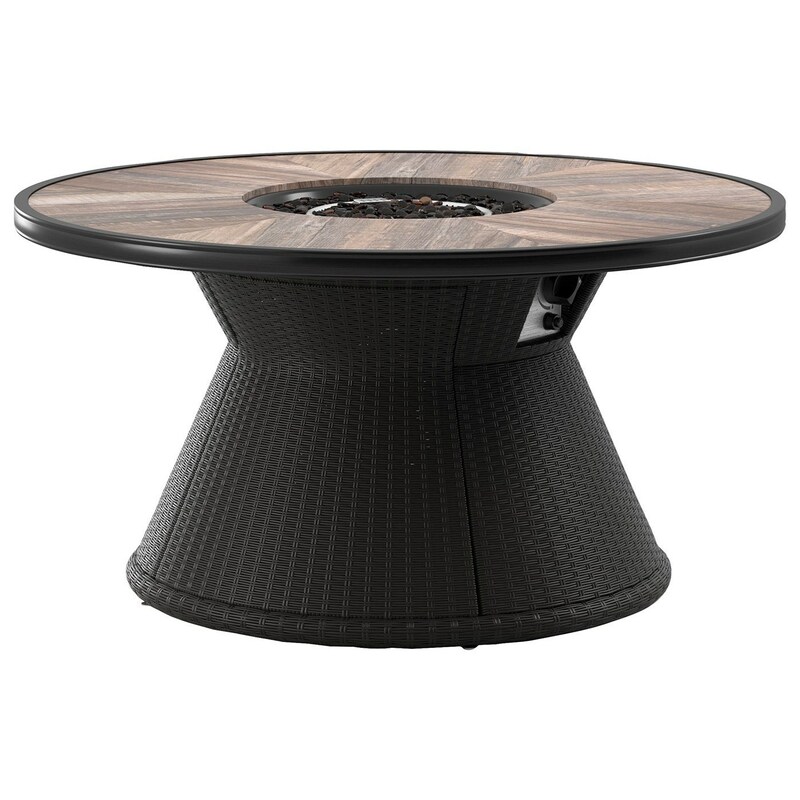 This round fire pit table is the perfect addition to your backyard sanctuary. The wood grain look of the porcelain top gives it a natural appeal, while the resin wicker base and rust-proof aluminum frame provide resistance to the outdoor elements. Cover the pit when you want full use of the tabletop, or light it up and soak in the warmth of the adjustable flames - you really can't go wrong with this staple outdoor piece. The Marsh Creek Round Fire Pit Table by Signature Design by Ashley at A1 Furniture & Mattress in the Madison, WI area. Product availability may vary. Contact us for the most current availability on this product. The Marsh Creek collection is a great option if you are looking for Contemporary Outdoor Furniture in the Madison, WI area. Browse other items in the Marsh Creek collection from A1 Furniture & Mattress in the Madison, WI area.